Drs. 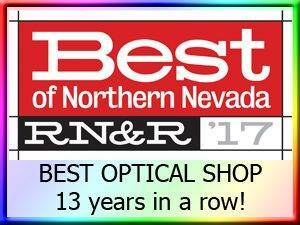 Travis and Cheryl Adlington, a husband wife optometric team, have proudly served Northern Nevada since 1989. After graduating at the top of their class, they went on to establish themselves in clinical practice, first in Incline Village, Nevada and then later in Reno. 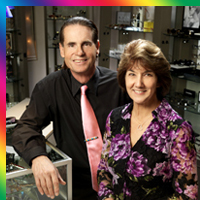 In 2000, both Cheryl and Travis became Fellows of the American Academy of Optometry. Special areas of interest include glaucoma management, dry eye treatment, and migraine headache research and education. Drs. 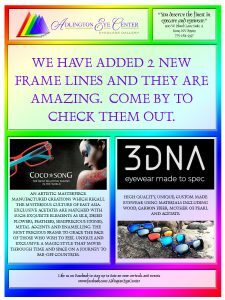 Adlington's passion for excellence is clearly evident in their obsession to harness both the powers of high technology and their own clinical skills to provide patients with the absolute clearest and most comfortable eyeglasses or contact lenses they have ever experienced.